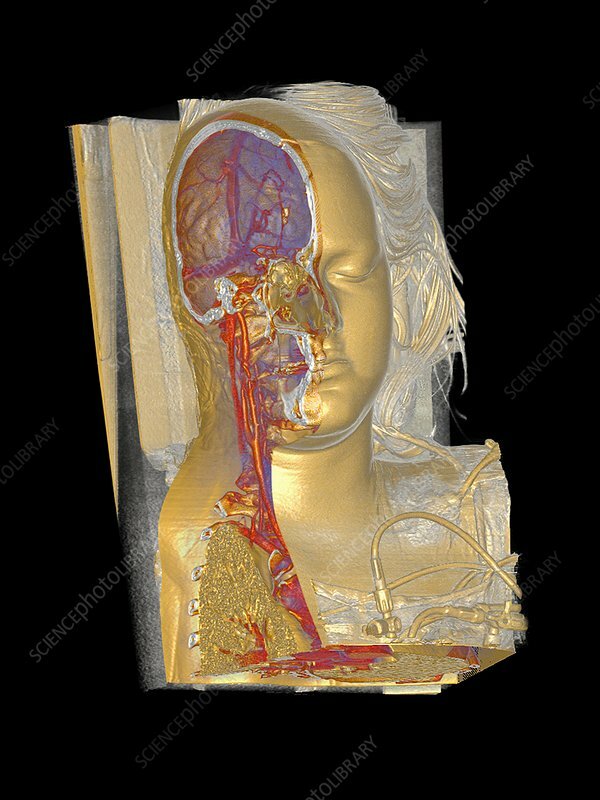 Human head and chest, computed tomography (CT) scan. This patient has been imaged using a volumetric rendering 3D technique. At right is the skin and hospital tubes. At left is a section through the head and upper chest, showing the internal anatomy (bones and blood vessels).